Is Lack of Financing Slowing Your Franchise Brand’s Growth? A franchise brand’s overall growth is dependent on the success of its franchise locations, so what happens when prospective franchisees face challenges securing the financing needed to open a location? Over the years, many franchise brands have missed growth goals for this very reason. Your franchise brand has several options when it comes to helping franchisees secure financing – and a solution that works for some won’t necessarily work for all brands. Below, we’ve pulled together examples of how other franchise brands have helped their location owners secure the necessary funding to get started. Most franchise brands charge an upfront fee to start the franchise, either paid in full or via installments. And these fees are costly, averaging between $20,000 and $30,000 per franchise location. In addition to the upfront franchise fee, most franchisees are required to regularly pay royalty fees and contribute to an ongoing marketing and advertising budget. Given all the other costs franchisees cost when they choose to open a business – including any building costs (if applicable), as well as inventory, equipment, insurance, training and licensing costs, among others – some franchise brands offer a loan or cover the cost of the franchise fee, which helps ease the upfront financial burden for interested franchisees. For franchisees who face difficulties securing financing from banks, some franchise brands offer franchisees who meet certain criteria loans to build or expand their businesses. For example, Weed Man offers loans to qualified franchisees – meaning those who technically have the funds available to start the business, but need some financial security while the business is getting off the ground. The loans include a flexible, five-year payback schedule, and the payment schedule doesn’t begin until two months after franchisees complete training, so location owners aren’t pressured to start paying back the loan before the business is up and running. 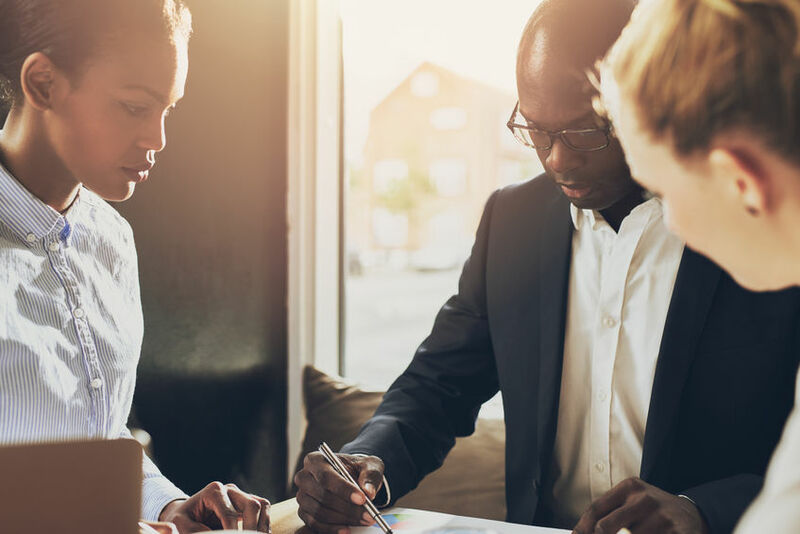 Once the franchise brand is established, some brands build relationships specific banks and lenders over time, so they know where to turn when a franchisee needs a loan. In some cases, the relationship is even so strong that the lenders specifically allocate funds for a certain number of qualifying franchisees under that brand. Franchise brands started building these relationships more strategically following lending challenges faced during the 2008 recession. At the time, brands who already had firm relationships with banks and lenders had a better chance of growing their business with new franchise locations than those without such relationships. If relationships with lenders aren’t already established, some franchise brands choose to dedicate a team to helping location owners identify loan programs that cater – or are open to – the franchise industry. Other franchise brands maintain a list of recommended lenders, as not all banks or other lenders are necessarily open to franchise financing. A list of recommended lenders will help prospective franchisees avoid disappointment and wasting time on loan applications that aren’t a fit – and instead dedicate resources to loan applications that are more likely to be approved. In addition to maintaining a list of relevant lenders, some franchise brands take it a step further by helping assisting franchisees with the actual application process. For example, Gold’s Gym has a financing side of its franchise brand called Gold’s Gym Capital. Recognizing the challenges franchisees face when opening a new business or expanding, the aim of Gold’s Gym Capital is to help existing and future franchisees secure financing. One way Gold’s Gym Capital assists its prospective franchisees is by helping franchisees put together presentations to share with lenders. As Gold’s Gym has hundred of locations worldwide, the franchise brand’s financing arm has plenty of expertise in what makes for a successful loan application and presentation. Other franchise brands – especially those that have extensive experience understanding what it take to secure a franchise loan – can take a similar approach to Gold’s Gym and help prospective franchisees apply for loans. PrevPreviousTake the Quiz: Is it Time for Your Business to Switch Payroll Providers?